I’m sure many of us were already thinking about Friday today and wishing away the next few days – I know I’m always guilty of this! The truth is that Friday, summer, someone falling in love with you etc. will not bring you long-term happiness. The only way to find happiness is to fall in love with yourself and your life today, not the future life in your head, and work on making every single day the happiest possible. 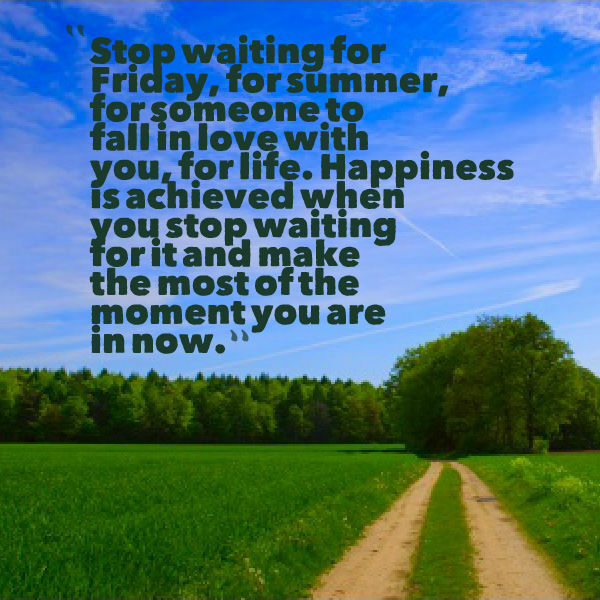 Let’s stop waiting and live today!